How do you solve a problem like Memetics..? Read on! So, since Memetics began in 1976 (The Selfish Gene, Dawkins), as the idea of Memetics has evolved, there have been a number of articles that have previously criticized Memetics for being: a pseudo-science. However – now that (in 2013, and again in 2016) we have (1) identified the meme, and (2) provided a true scientific paradigm for Memetics – it feels as if – we should revisit some of the key articles that have previously criticized Memetics, and see if there are still any `holes’ in it that need fixing / which `problems’ in Memetics now need solving. And I have already gone over these 2 articles above with a fine-toothed-chainsaw, in the previous 2 posts. Which is addressed in the following post (#105). So I’ll now aim to address these criticisms in Benítez-Bribiesca (2001). And – note that, below, I am quoting the author of the `critical article’ below, in bold. And then – read the following refutation, and then – go and read the actual `critical paper’ (Benítez-Bribiesca 2001) itself. That way – as you finally do read the paper you will already know, as you read it, why he is (now, in 2013) wrong – about each point that I make (i.e. – each criticism Benítez-Bribiesca makes in 2001, that in 2013, we can now refute) below. So – to be fair, I only published the above two papers on `The Holonic Structure of the Meme‘ and `A Science of Memetic Culturology‘ in 2013 – and so – in context – Benítez-Bribiesca is referring to the problems with Memetics that existed – back in 2001. This refutation below, shows why – all those prior criticisms from 2001 about `Memetics is currently a pseudoscience’ no longer apply (as of: 2013) to the Domain of Memetics; Why and How all of these problems Benítez-Bribiesca notes below – are actually solved by my own synthesis of various theories, in Memetics. Correct-! The process for both memes and genes is: selection, variation (e.g. combine two memes) and transmission-with-heredity. Sometimes there is very little variation. In that case – the meme (e.g. the idea) essentially just gets transmitted between minds. Also apart from ideas being memes, processes and products are memes. They are often copied, with little or no variation. But in Creativity, i.e. – in Culture, when you want a new idea, you usually need to combine two old ideas. This is Koestler’s idea of `bisociation’ (from: Koestler, 1964 The Act Of Creation). This idea has undergone the sorcerer’s apprentice path spreading rapidly amongst many evolutionary scientists developing into a strange “science of memetics”. Yes — maybe so — but it (Memetics) wasn’t a proper Science before. But while genes are well defined and their molecular structure has been extensively investigated, memes are ethereal and cannot be defined. Wrong…! Read this: it very clearly, scientifically and empirically defines the meme. Without an adequate idea of these elusive elements it is no surprise that no scientific demonstration of such an immaterial replicator exists and serious scientists disregard memes as the basis to explain consciousness and cultural evolution. Memetics is nothing more than a pseudoscientific dogma where memes are compared to genes, viruses, parasites, or infectious agents thriving for their own survival in human brains. Memetics is a dangerous idea that poses a threat to the serious study of consciousness and cultural evolution. The concept of a self-replicating molecule as the origin of life seems to be widely accepted. 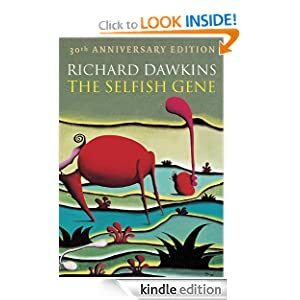 Richard Dawkins in his bestseller book “The Selfish Gene” elaborates extensively on the role played by the universal replicator molecule DNA as the basic structure of the gene to explain evolution and natural selection of living creatures. But when he tries to explain cultural evolution on the same grounds, he was faced with the necessity of finding the equivalent of a replicator gene in the human mind. He thus proposed the existence of an immaterial replicator, “a unit of cultural transmission”, a “unit of imitation” for which he coined the very appealing neologism “meme” (Dawkins, 1989). Okay – but it’s not an `immaterial’ replicator. Ideas, processes and products (which are all memes) are not immaterial. Try smashing a full Coke can into your own forehead, and let’s see how immaterial you think it is. Products (like: Coke) are memes. Memes are holons. And they include: Novels. And films. So – if you slap yourself across the face really hard with a novel, you will discover just how `material’ the meme can be. His invention was indeed a very catchy one and provided an ideal element, conceptually identical books, “Consciousness Explained” and “Darwin’s Dangerous Idea”, and recently Susan Blackmore’s book “The Meme Machine” (Jeffreys, 2000; Aunger,1999). Sure, and I like all those books – but not everything in them, is right. You have to realize – they were (everyone was) all just theorizing – before `the meme, the unit of culture’ was actually discovered – and empirically and scientifically identified by Velikovsky, in 2013. The metaphoric idea of memes has undergone the sorcerer’s apprentice path and thus has spread so rapidly that even Scientific American in the October issue of 1999 dared to publish an extensive article by Susan Blackmore entitled “The Power of Memes” (Blackmore, 2000). The issue is so controversial and so highly criticized that three short counterpoints written by prominent scientists in the fields of anthropology, psychology, and ecology and population biology were added, of necessity. Yes – but – as I say, Blackmore, in 1999, hadn’t yet discovered `the meme, the unit of culture’. She was just hypothesizing around the idea. She certainly came close a few times – but she never quite nailed it, like Velikovsky 2013 did. Note: it’s (the meme) no longer a `metaphor’. It’s a real thing, now. The meme is a holon and a holarchy. It’s an idea, process, product or even – sometimes – can be all three at once. Also ideas are real: they are the real firing – of real neurons, in the real brain. We can even film them. Surprisingly enough, and although many ardent believers of this idea already speak of a “Science of Memetics”, there has been as yet no scientific demonstration of such an immaterial replicator. And – it’s not `immaterial’. Like I say: I can slap you across the face with a fish, (see: the fish-slapping dance, from Monty Python) or even a DVD-cover (a film, on DVD is a meme.) And you will soon realize it (the meme) is all very material. – It will even leave an imprint of a DVD on your face. Velikovsky (2013) knows. And he has explained it for everybody. – this is why the list of memes appears to grow indefinitely and arbitrarily, although there is no way of outlining the basic composition of this entity (Jeffreys, 2000). Seriously – yes – there is. Velikovsky did it, in 2013. In the table from Blackmore’s article, memes and complex memes categories vary from stories, urban legends and myths to hairstyles and body piercing. Yes, those are indeed all memes. And, memeplexes. And like all memes, they are: holons, and holarchies. The superficial analogy with genes cannot be more farfetched. Stop. – This is not an analogy. Genes and memes (units of culture) both work exactly the same way: selection, variation, and transmission-with-heredity. It is: the evolutionary algorithm. Please stop calling it an `analogy’. It is the same process, with genes and memes. While genes are stored in a universal molecule containing coded information amenable to objective scientific scrutiny, memes, if they exist at all, are a set of greatly heterogeneous imaginary entities that cannot in any way be subjected to rigorous investigation and experimentation. Even more, without an adequate idea of what to look for, no concerted effort to discover the whereabouts of memes has been or could be mounted, asserts Robert Aunger (1999). This is wrong too, Velikovsky (2013) has done it. i.e. – He has achieved the impossible, and is therefore, probably, an unimaginable genius. As Watson and Crick were to `Biology’ in 1953; Velikovsky was to `Culture’ in 2013. It follows that the existence of a cultural replicator could not be scientifically demonstrated if its essential niche and nature are so elusive. Furthermore, the mechanism proposed for the copying and mutation of memes, as the basis of cultural evolution that memeticists contend is similar to genes, has serious drawbacks. For evolution and selection to take place, genetic information has to be stored in a relatively stable molecule such as DNA in what Schrödinger referred as a “code-script”. Without this structure, a mutation, which is nothing else but a change of code, could not take place and in the absence of a precise copying mechanism mutations cannot be selected. Information in genes is encoded in digital form with four letters, but in memes messages are encoded in continuously varying analogous symbols that might rapidly decay into noise as they are transmitted from individual to individual (Smith and Szathmary, 1995). Benítez-Bribiesca is very confused here. But, anyway, memes – as ideas – are transmitted from mind to mind. If an idea (e.g. `Jesus Christ’, or a `Mars Bar’) is in one mind – and is then – by whatever means – (eg by word-of-mouth, or by seeing an advertisement, or by reading a book, etc) transmitted to another mind, then: that meme just got copied.) Memes are ideas, processes and products. Genes require that messages be replicated with a high degree of accuracy, something that does not and cannot occur with memes. So – combine 2 genes and what do you get? A combination of both. i.e. A new person – that is a blend of the 2 parents. It’s only 50% accurate, when you combine 2 strands of DNA, and the `child DNA’ is a random blend of both. Okay, so – stop getting so hung up on these `high degrees of accuracy’. When two people read the same book, or hear the same word, the accuracy doesn’t really matter. The meme can still be transmitted. If I say “I’m gonna go get a Coke, you want one?” we both know what I’m talking about. I don’t really care if your exact idea of Coke in your own mind triggers all sorts of different associations in your mind (memeplexes relating to Coke – eg maybe you were traumatized by a poster of Coke as a child – who knows) – the end result is – if you say “Yeah, get me a Coke” then when I come back, and hand you your Coke, the idea (the meme, the word Coke) worked. I didn’t come back with a bottle of water, or a cocker spaniel and hand it to you. I came back with a Coke. Now sit back, and have a Coke and a smile. The mutation rate must be low to guarantee stability and to allow for selective pressures to act over long periods of time. If the mutation rate is high and takes place over short periods, as memetics predict, instead of selection, adaptation, and survival a chaotic disintegration occurs due to the accumulation of errors. Nonsense. Okay so – every time you see the movie Casablanca (1942), it is the same movie. it is the same meme being transmitted to: Whoever owns the mind, that is watching the movie. Who cares if two or more people see that movie, and then both go away and then they only remember certain parts of it? The meme (the story, in the movie `Casablanca’) just got transmitted into more human minds. And – it will keep being transmitted when more people see it. It’s really pretty simple. Stop being so confused, Benítez-Bribiesca. Selection due to heritable variations requires a repeated phenotype upon which to operate (Kaufman, 1995). Proponents of the “memetic hypothesis” point out that memes mutate continuously from “brain to brain” and in a very short time. How could this high mutation rate, lack of a code script, and memetic instability account for the emergence and progressive evolution of the human mind and culture? Easy. You really need to read Koestler 1964, fella. (The Act of Creation). And also read Csikszentmihalyi 1996 (Creativity) and also Simonton 2004 (Creativity In Science). Look, memes (for example) are: ideas, in books. People write down scientific theories in books (like say Darwin’s The Origin of Species, 1859). Every time anyone reads that book, those memes get transmitted, into their head (their mind). Whether their memory fades over time (see: Koestler 1964, and 1967) – who really cares? – They can always go back – and read the book, and refresh their memory. The same memes (ideas) are still there, written in the book. Words are memes (and holons). As are – sentences and paragraphs, etc. The idea that cultural evolution is subjected to some kind of Darwinian selection is not new and certainly does not require the existence of a replicator unit. Yes it does. A meme is an idea (and/or process, and/or product). If an idea (or the idea of any given process, or the idea of a product) gets transmitted between minds, it is being replicated in those minds. And anyway – whether it does `need it’ or not, that is exactly how it works: selection, variation and transmission-with-heredity of memes (i.e. ideas, processes and products). Seriously, go read Koestler 1964 (The Act of Creation), and also read Csikszentmihalyi 1996 (Creativity) and also Simonton 2004 (Creativity In Science). I am not kidding, Read them. That is how Cultural Evolution works. Yes – well Popper and Blackmore were actually right there, it (a scientific theory) is a memeplex/holarchy. and that all are subjected to natural selection through selective pressures. He nevertheless analyzes differences among the three levels. At the genetic level, mutations are not only random but completely blind; on the behavioral level different trials, instead of gene mutations, are no longer completely blind but goal-directed and at the scientific level (or cultural level) language, both spoken and written, allows criticism to be the selector mechanism that leads to the final path of cultural evolution, which is creative thought. You need to go read those 3 books: Koestler 1964 (The Act of Creation), also Csikszentmihalyi 1996 (Creativity) and also Simonton 2004 (Creativity In Science). I am not kidding, go read them. Now. i.e. When someone is trying to solve a creative problem, they very often use: blind variation and selective retention. Seriously. Read those 3 books above. And read Campbell (1974) and also Simonton (2012) on BVSR, in Creativity. Memetics is nothing more than a pseudoscientific dogma encased in itself. That may well have been true, prior to Velikovsky 2013 – but – that is true no more! It is something akin to psychoanalysis with its wonderful intellectual construction but devoid of any objective proof. This is now wrong. Sorry. Memetics is approaching the dangerous category of a fashionable idea that follows the path of the memorable book by Teilhard De Chardin “The Phenomenon of Man” (1961). 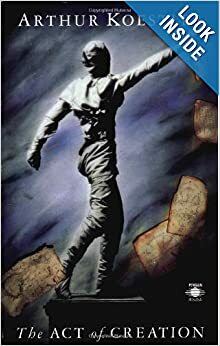 By the turn of the 20th century when the book was written, De Chardin explained noogenesis and the emergence of the noosphere on evolutionary grounds, catching the attention of bright intellectuals such as Julian Huxley. At that time, anthropology offered him the scientific basis to elaborate his idea that is, no doubt, bright and illuminating but too metaphysical and impossible to be tested. The devastating criticism of this work set forth by Peter Medawar (1996) clearly settled the unscientific nature of this theory. Oh, cut it out. – It’s simply not like that any more. The “science of memetics” is farther away from Chardin’s theory of noogenesis and does not even embrace the respectable metaphysical concept of this author. Memetics seems more like a disparate cocktail of concepts where memes are compared to genes, viruses, parasites, or infectious agents thriving for their own survival in human brains. Memetics seems more a children’s fable or a virtual game, where memes are obnoxious, autonomous strange entities floating all over trying to control our minds. Despite the efforts of some bright intellectuals to provide this fashionable metaphoric dogma with any scientific basis (Jeffreys, 2000; Aunger,1999), memetics continues to be a pseudoscientific theory that poses more confusions than solutions for the study of consciousness and the evolution of culture. Maybe – but all that was only true, before Velikovsky came along in 2013 – and solved it all. So, just use this Velikovsky 2013 definition as a basis and you can’t go wrong, seriously. Oh, and I nearly forgot… read: Koestler 1964. The Act of Creation. And – you can clearly see why he (Benitez-Bribiesca) is now (in 2013) wrong, about everything to do with Memetics. ie Solving “the unit of culture” was a hard problem. And – Benitez-Bribiesca (2001), and those other schmucks.